A trip to Jaipur is usually planned not only to explore the historical places but to live the grandeur and fancy life once in a lifetime.”The authentically ornated city palaces, glorious historical Amer, Nahargarh, and Jaigarh forts, tantalizing Hawa Mahal and unique Patrika Gate are the most famous places to visit in Jaipur all around the year to spend the most comfortable, extravagant and royal stay. 1. Amer Fort: The massive Fort was built by Maharaja Sawai Man Singh on hills of Aravali and is popular for its detailed carved architecture and the picturesque view from its window to the lake beneath the valley.it was till recent home of Jaipur Royal Family. 2. Nahargarh Fort: Again a miraculously architect palace on the edge of Aravali hills. A popular place among locals for its beauty and panoramic view from mountains. The place is overly crowded on a rainy day. 3. Jaigarh Fort: The fort is an open museum which displays the clothes, utensils, ammunition and many more things that were been used by the royal family in their day to day life. The biggest cannon Jaivana is also exhibited in this fort. The fort is open from 9.30 A.M.to 4.45 P.M daily. 4. Hawa Mahal: The famous window wall even knows as jharokha is known internationally. Beautifully architect structure was built for women of the royal family to have a sneak peek of the daily activities of local residents. 5. Jantar Mantar: The scientific devices made of bricks and mortar, to calculate time, and the weather was advanced meteorological ancient equipment at Jantar Mantar. It also exhibits the scientific and architectural expertise held by the king of Jaipur. 6. Govind Devji temple: The world record holder temple is famous for its humongous corridor that can accommodate 1000 followers to perform Aarti, all at the same time. The strong pillars are symmetrically placed to give it an elevated view. The aarti time will surely leave a great impact upon you and will lure you to visit again. 7. Birla Mandir: The white stone Lord Rama temple depict like a moon on the hill. The Famous temple is a good place to sit and meditate for a while. The Ganesh temple near to Birla Mandir is also one of the most popular temples of Jaipur. The temple is accredited with fulfilling all your wishes and dreams. 8. City Palace: The house of the royal family is also open for tourist. The section of the Palace is converted into Art gallery, museum, school, bookstore, and even cafe. 9. Patrika Gate: The newly constructed gate at the Biggest park is creating lots of buzzes nowadays for its beautifully painted and crafted walls and doors. The place is a popular destination among youth to click some good pictures. 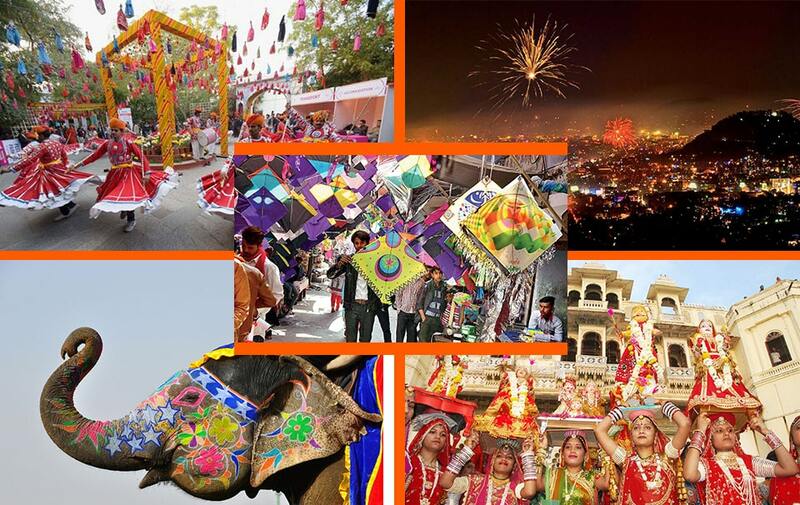 Jaipur organizes many events throughout the year to celebrate life and culture. 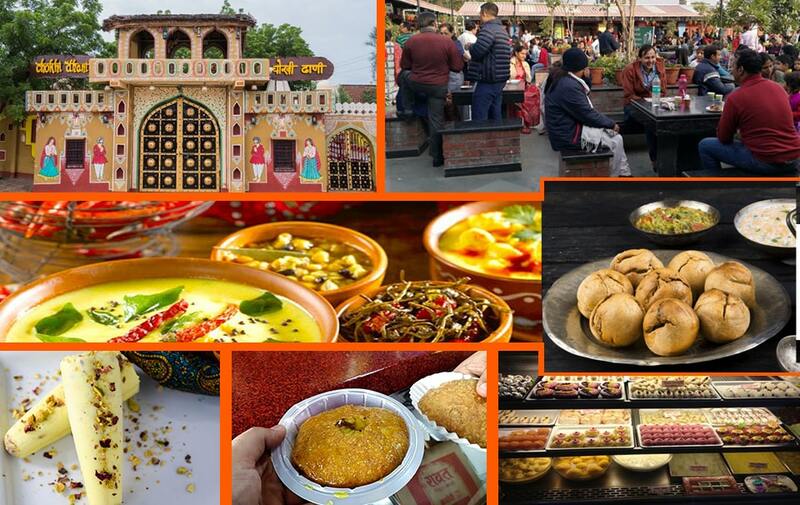 Plan a trip during these events and explore some amazing obscure places of Jaipur. 1. Jaipur Literature Fest(January): The world recognized event held to promotes writers and speakers is organized every year at Diggi Palace, a heritage property mainly used for exhibitions and events, The place also serves luscious multi cuisine. 2. Gangaur Festival(March-April): The festival to celebrate women hood when a huge procession of goddess Gangaur is rallied in the market and women of Jaipur are overly dressed to celebrate their feminism. The procession initiates from the home of the royal family,” City Palace” situated at Tripolia gate and runs through three popular markets, Kishanpole Bazaar. Chaura Rasta and Johri Bazar. 3. Teej festival(August): The three-day long Festival is celebrated by women of Jaipur for well being of their spouse and children. The colorful attire and gold studded jewelry are the demonstrations of their spouse well being. The celebration is inside the huge beautiful gates that surround the old city. Visit the old cities to watch beautifully crafted 7 gates that have been protecting the city from invaders since ancient times. The Chandpole Gate, Surajpole Gate, Ajmeri gate, Sanganeri Gate, New Gate, Ghat Gate, Samrat Gate, and Johrawar gate. 4. Holi(March): Holi is celebrated throughout India, but in Jaipur, Holi has its own significance and is celebrated with great excitement and magnitude. The heritage property now running as comfortable hotels are the best places to visit in Jaipur with family to celebrate Holi. Some of the places are Laxmi Niwas hotel, Ram Bagh Palace, Hari Narayan Niwas and many more. 5. Diwali(October-November): Diwali is the main festival of India. But in Jaipur, every house and market is lit up extensively for 3 days. It is a 3-day gala celebration of every household in Jaipur. The places like Albert Museum hall, Statue Circle, VIdhansabha Raod are lightened up and beautifully decorated during Diwali making them a must visit places in the month of October. 6. Elephant Festival(March): Elephants were always as royal rides of Kings family. To celebrate their glorified history. Jaipur plans Elephant festival every year on the day of Holi and showcases various events performed by elephants like elephant polo, Elephant dance and many more. Visit the Popular Polo Ground situated near central park, where many international Polo matches have been held and also the elephant festival procession also celebrate their closing ceremony. 7. Kite flying festival(January): 14th January Is celebrated as Makar Sankranti, the kite flying festival that fills the sky with colorful kites. In Jaipur, during kite flying festival every local is on terrace flying kites with loud music and savories like til Ladoo and Phirni. 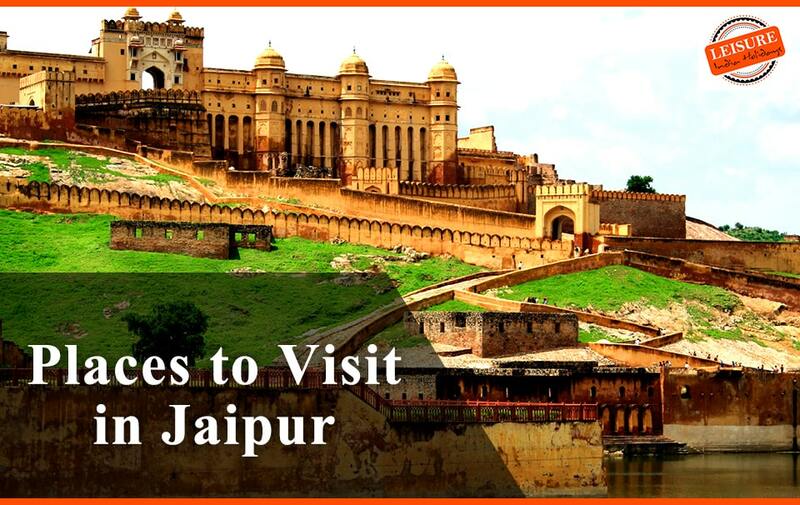 But make a plan to visit Jaipur during January and enjoy an adventurous and thrilling kite flying competition held at Chaughan Stadium every year. Kachori: The Flour dumpling filled with a Mixture of lentils or potato and onion mixture is deeply fried and serve hot with Chutneys. Don’t forget to Visit the authentic Flavours of kachori at centrally located Rawat Misthan Bhandar or Samrat Namkeens. Jaipur is a hub for traditional clothes and jewelry. Don’t forget to buy some of these as a souvenir to your friends, which are internationally appreciated. Lehriya print dress can be purchased from Gulab Chand shop located in MAll 21, opposite world-famous movie theatre Raj Mandir. Jewelry is the most popular item of Jaipur. Visit Johri Bazar and Gopaljee ka rasta to tantalize your shopping spree in the designer and beautiful jewelry. Mojdi The traditional footwear is sold at open stalls at Johri Bazar and link road. Sanganer prints bedsheet can be purchased from place Sanganer, a small village now a part of Jaipur famous for its exclusive block printing textile. Jaipuri Blankets and quilt very light blankets .easy to carry while camping and trekking can be purchased from places like Chaura Rasta and Sanganer. 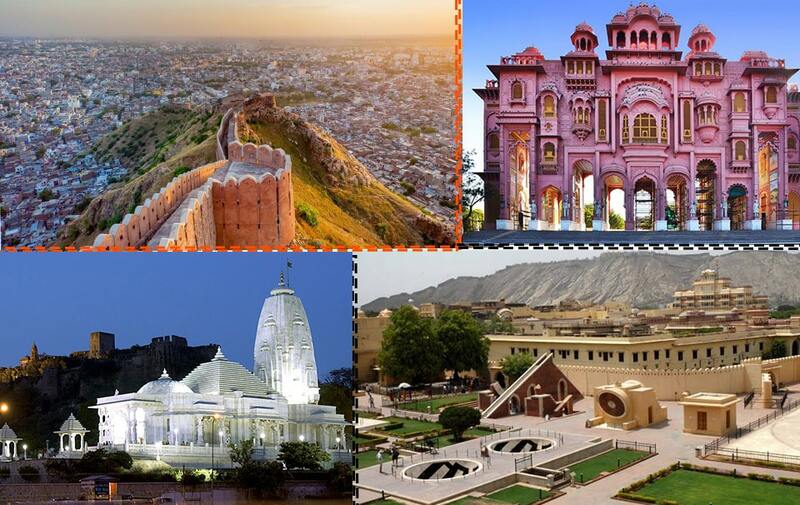 Geographical Description: Jaipur “The Capital of Rajasthan” is situated in the eastern part of Rajasthan and is easily connected Via air transport and road transport to major cities nationally and internationally. The city is surrounded by Aravali ranges and enjoy the tropical climate throughout the year. Weather: The summers(April-June) are hot and dry and winter(December-February) are chilling and cold, Monsoon(July-September) has moderate rainfall. Mean of transport: Jaipur has international Airport, and have a direct flight for Dubai, Singapore, Malaysia, Muscat, Sharjah and connected to many cities nationally. Jaipur is connected to many states through several national highways. The Railway Station in Jaipur connects various train running through different states. Jaipur also has connectivity through metro train running within the city. 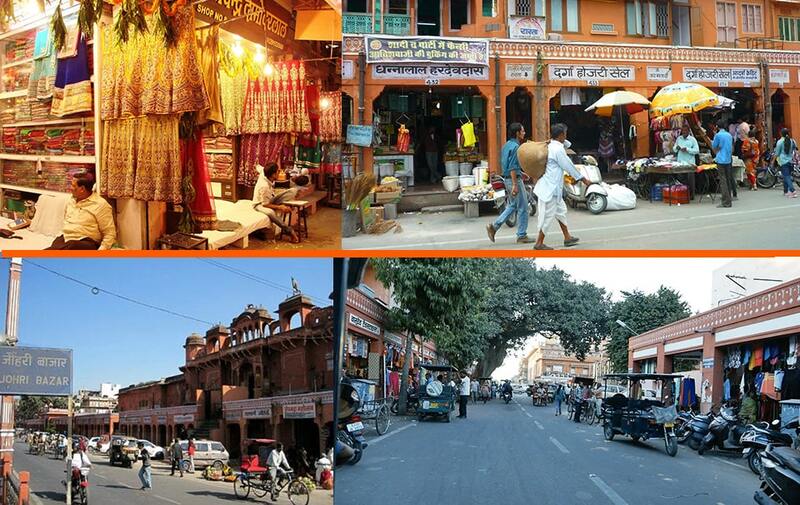 Best time to visit in Jaipur: Monsoon and winters are the best seasons to visit in Jaipur. LIH success story: Ivana and Michael visited Jaipur with us following the Rajasthan tour Packages in February 2019, and were spellbound with the beauty of Rajasthan and historical places. The Duo was in love with the beautiful landscape and awestruck with the hospitality and grandeur of heritage hotels.